Do not let its small, compact size fool you. The Super Coach Pro 6 commercial backpack vacuum delivers unsurpassed power in a new, ergonomically enhanced frame. With a smaller footprint, it is easy to maneuver in tight spaces. 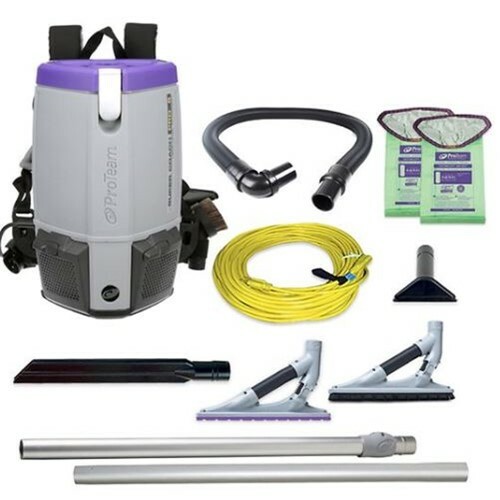 This commercial backpack vacuum comes complete with the ProBlade Carpet and Hard Surface Floor Tool Kit.